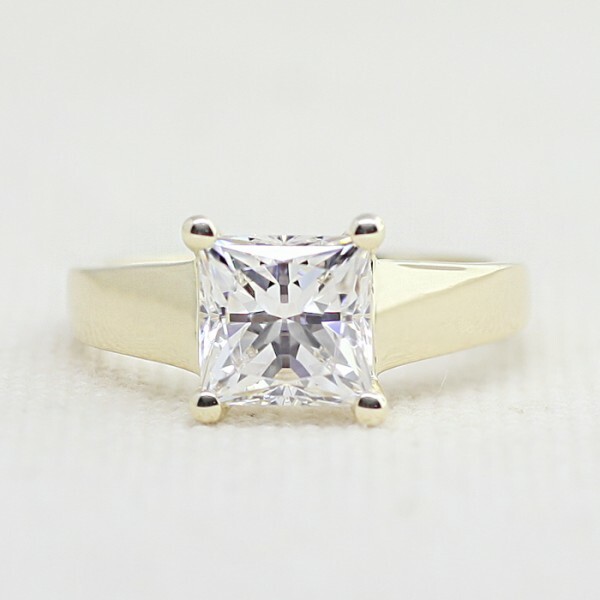 Tempest - 2.40 Princess Cut, 14k Yellow Gold - Size 6.75 was added to your cart. The Tempest classic solitaire engagement ring features a stunning Princess cut Nexus Diamond in an attractive basket setting. Its low profile is designed to dramatically reduce snagging. Center stone: 2.40 carat Princess cut Nexus Diamond.